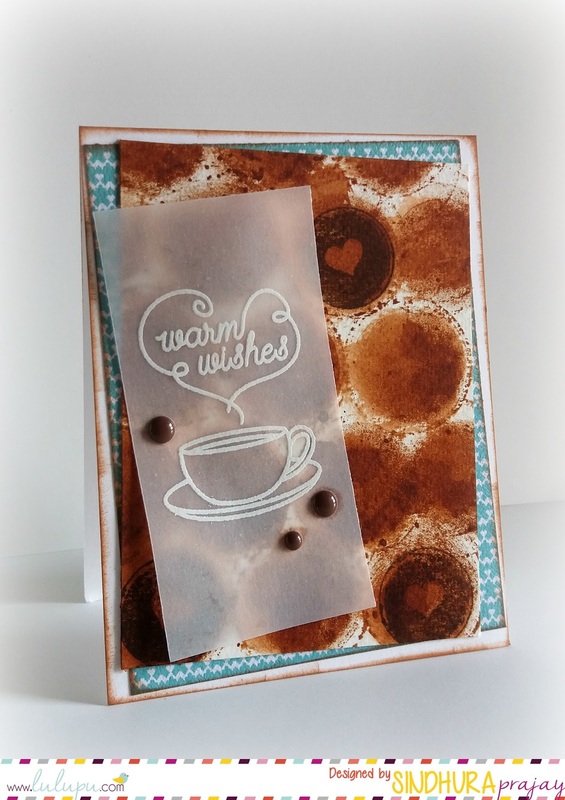 Lulupu - The Craft Lounge: Warm wishes- one stamp set, three cards. 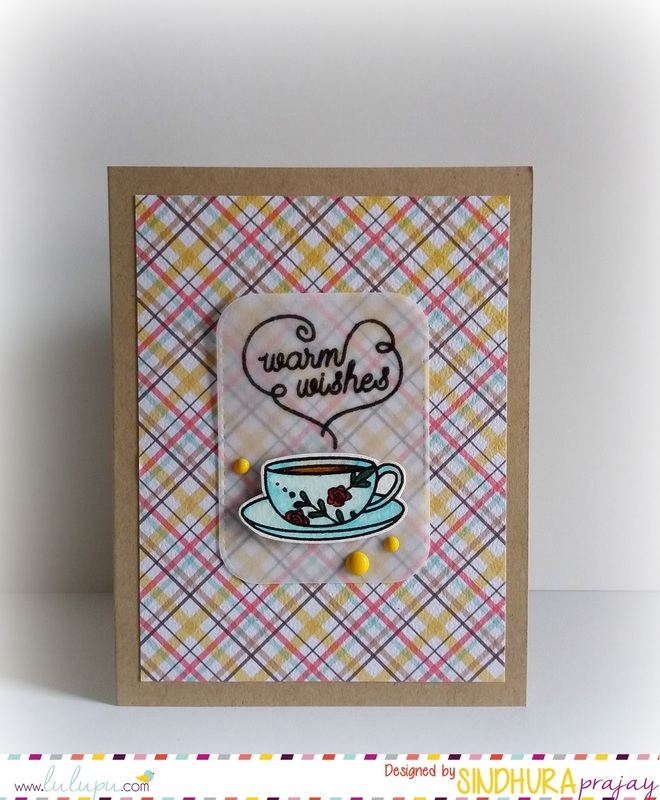 Today I have three cards to share that I made using a single stamp set and some patterned papers. Karuna, super generously sent a couple of 'Waffle flower' stamp sets to me last month and I hadn't got a chance to use the cute little 'warm wishes' stamp set till now. I decided to put it to use a couple of days ago and the results as you would see are cute! 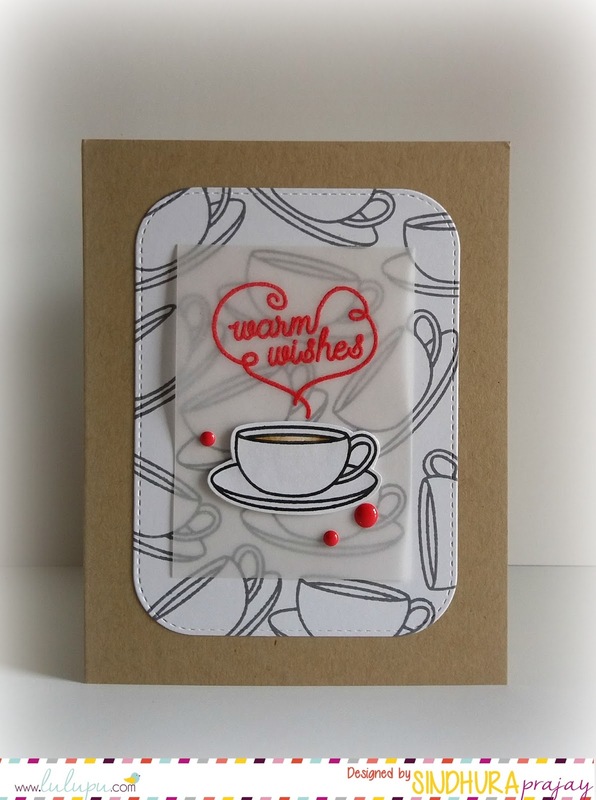 For the first card, I first made that cool looking background that I hoped would remind you all of coffee! :) I'm planning to do a small video tutorial to show how I made it, so, I am not explaining about it here. I layered inked panel on a piece of patterned paper and mounted everything on a card base. I heat embossed the images on vellum and adhered it on the panel. For this card, I did some masking and stamped small floral images on the cup. 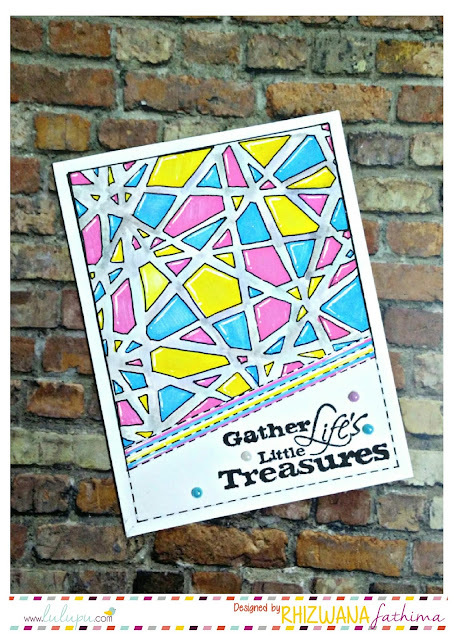 Coloured the images with zig markers, fussy cut and adhered the coloured image on a piece of vellum and heat embossed the sentiment. To finish it off, I layered the vellum on a pretty patterned paper and assembled on the card base. I also heat embossed the sentiment in red. For the last card, instead of using a store bought patterned paper, I made my own by randomly stamping the image repeatedly in grey ink. I also stamped an image in black ink on a piece of cardstock, fussy cut it and adhered it on a piece of vellum. Assembled the panels on a kraft colored cardstock. Warm wishes stamp set by Waffle Flower Crafts. Life is beautiful 6x6 paper pad by Fancy Pants.